The Minecraft Team is responsible for developing and managing the ScoutLink Minecraft server. 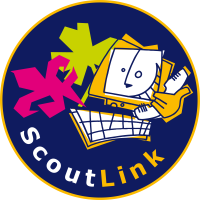 As with all of our services, the server is ultimately managed by ScoutLink Council overseen by TechTeam. If you’d like to join us, please send an email to minecraft@scoutlink.net directly or using our contact form. Please include as much information as you can about what you are able to help us with – or if you aren’t sure, then ask us some questions and perhaps we can help you find where you might fit best. We aim to have as much information as possible publicly available to help keep you aware of what is being worked on. If you have any comments about these, please email us. Click here to see roles within the team, including their responsibilities and permissions.